More than 880,000 books from Kay Arthurs lifechanging New Inductive Study Series have been sold! This exciting series brings readers facetoface with the truth of Gods precepts, promises, and purposesin just minutes a day. Ideal for individual study, oneonone discipleship, group discussions, and quarterly classes. 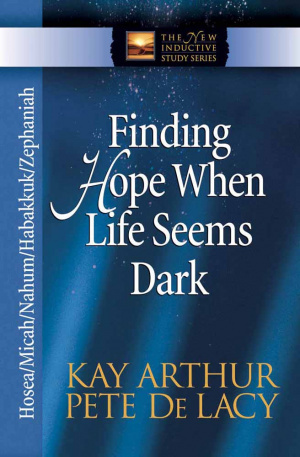 With this inductive study of five of the Bibles minor prophetsHosea, Micah, Nahum, Habakkuk, and Zephaniahreaders will discover the light of Gods truth shining in even the darkest circumstances. As they learn to observe, interpret, and apply the text themselves, classes, small groups, and individual readers will enjoy using the tools of inductive Bible study to find Gods message of hope for difficult times. 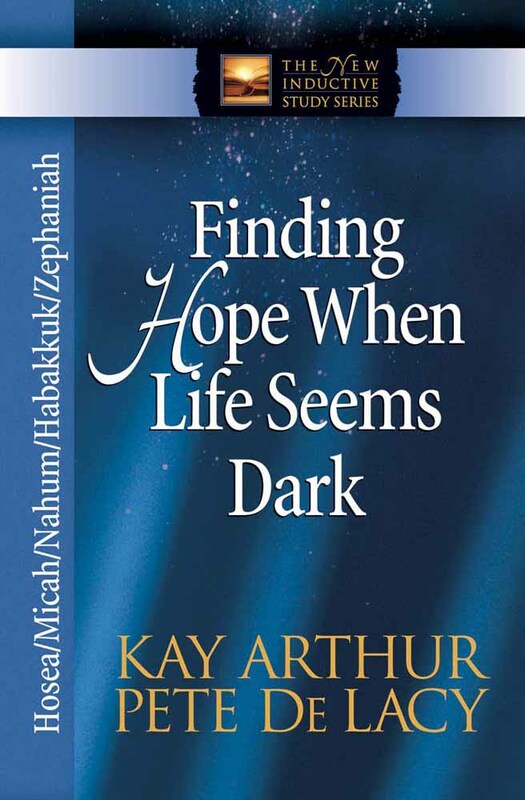 Hosea, Micah, Nahum, Habakkuk, and Zephaniah : New Inductive Study Series by Kay Arthur;Pete De Lacy was published by Harvest House in August 2006 and is our 22746th best seller. The ISBN for Hosea, Micah, Nahum, Habakkuk, and Zephaniah : New Inductive Study Series is 9780736918251. Be the first to review Hosea, Micah, Nahum, Habakkuk, and Zephaniah : New Inductive Study Series! Got a question? No problem! Just click here to ask us about Hosea, Micah, Nahum, Habakkuk, and Zephaniah : New Inductive Study Series.